When it comes to prayer, we sometimes become intimidated and think we don’t have the right words to say or know how to say them. We may even compare ourselves to others who we feel are more articulate. But prayer is a matter of the heart between you and God. It is simply talking to God in our own way and inviting his intervention into every aspect of our lives. God loves us so much that He wants to communicate with us on a regular basis through prayer and His word. Beginning your prayer with Praise gives all the glory to God and allows you to reflect on who He is and what He has done for you. Rather than approaching Him only to receive something, you begin with honoring the Creator. Repent simply means a change of heart and mind. When we accept Christ as our Lord and Savior, we become aware of the sin in our lives and desire to change and become more Christ-like. When we pray, we are bringing our needs and the needs of others to God knowing that He is able to meet every one of them. Yield means to submit or to give the right of way. When we pray, we submit our will to the will of God and give Him complete control over our lives. 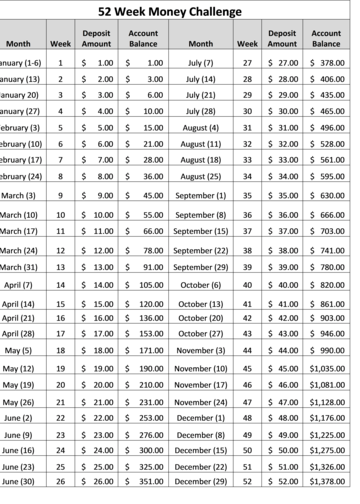 while adding more variety to your prayer time, here is a model to help you pray longer and more focused. 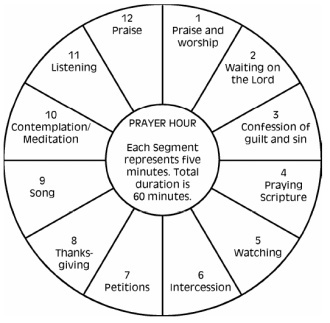 This wheel is broken down into twelve, five minute prayer focuses to help you pray for a full hour each day.